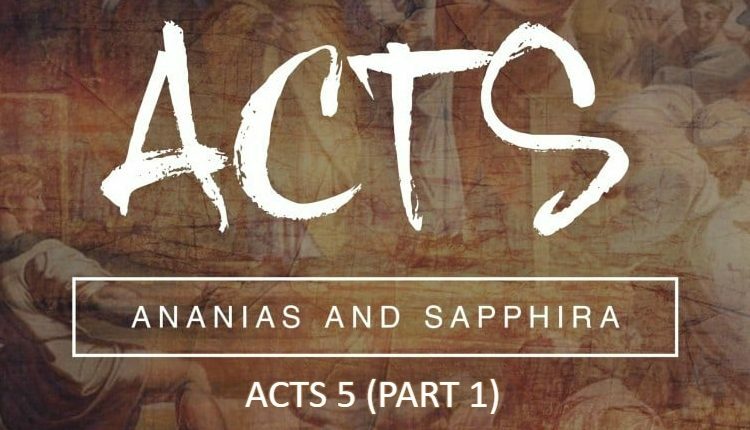 In his letters to Timothy, the apostle Paul has a lot of exhortations. These exhortations to hold faith and to continue in the doctrine have a clear warning that one can indeed fall from the faith and lose salvation. I hope we agree that Timothy was a born-again Christian. In this post, I will display passages from both letters to Timothy with some additional comments for clarity. Please feel free to comment if you have some good points to add, this will add insight to the article and help others seek the truth. If “Once Saved Always Saved” believers want to argue against this, they have to say Paul is just giving some advice to Timothy. They would have to say that Hymenaeus and Alexander were never really saved. 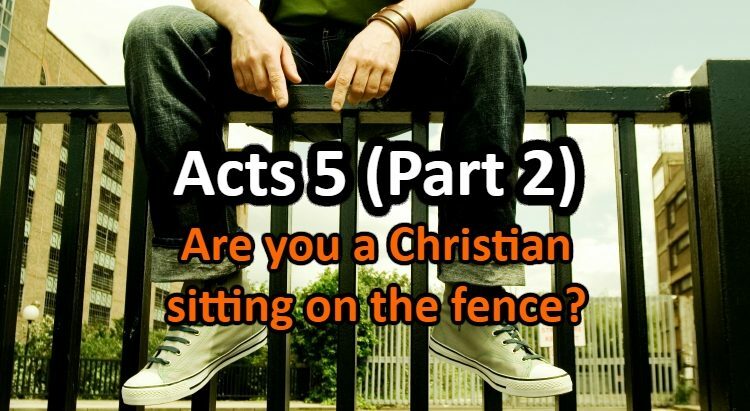 If that were true, why would Paul say they are part of those who have shipwrecked their faith? Why would he say that he has delivered them unto Satan? Brothers who want to argue that way are just looking for a way out to make the passage fit with their preconceived taught doctrine. Of course, OSAS brothers have to say either these people were never saved or that “departing from the faith” doesn’t mean one lost his salvation. 16 Take heed unto thyself, and unto the doctrine; Continue in them: for in doing this (this what? Taking heed unto himself, continuing in the doctrine, etc..) thou shalt both save thyself (Timothy shall save himself by taking heed and continuing!? I thought he was already saved), and them that hear thee. This passage is very strong and “Once Saved Always Saved” brothers have to twist these verses beyond recognition. We see clearly this fits with all other verses which exhort to continue to the end to be saved including the words of our Lord Jesus Christ. Dear brothers, sometimes I feel sad to have to interject on the Word of God as if my comments really add anything. The scriptures are very precious to me and I hate to do this back and forth arguing against this doctrine. I just don’t know what to do sometimes to help our brothers from “Once Saved Always Saved”. 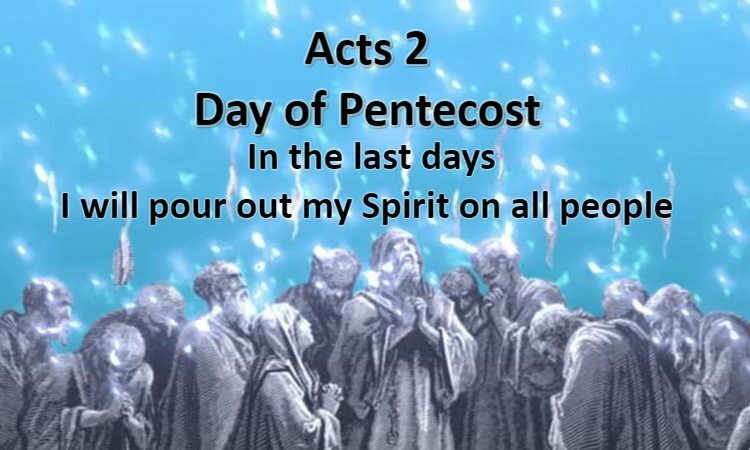 The issue is I just want them to know that to get to be with Christ, we cannot go back to sin living in it deliberately. 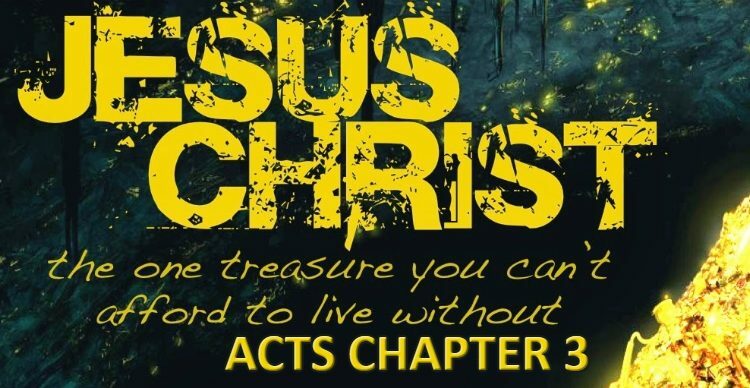 Jesus Christ came to destroy the works of the devil and therefore Jesus Christ FREES us from deliberate sin. We won’t want to sin dear brothers if we are really born again. We would HATE sin! Don’t let anyone deceive you my brothers! 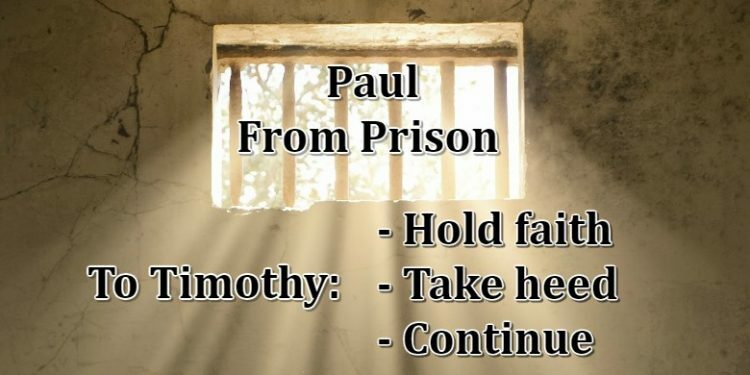 Let us be like Timothy and receive the warnings from Paul, let us hold faith with a good conscience, let us take heed unto ourselves and continue in the doctrine of Christ, let us suffer with Him so that we reign with Him when He appears, let us not deny Him by turning our backs to Him and going back to deliberate sin! May the Lord Jesus help you all!